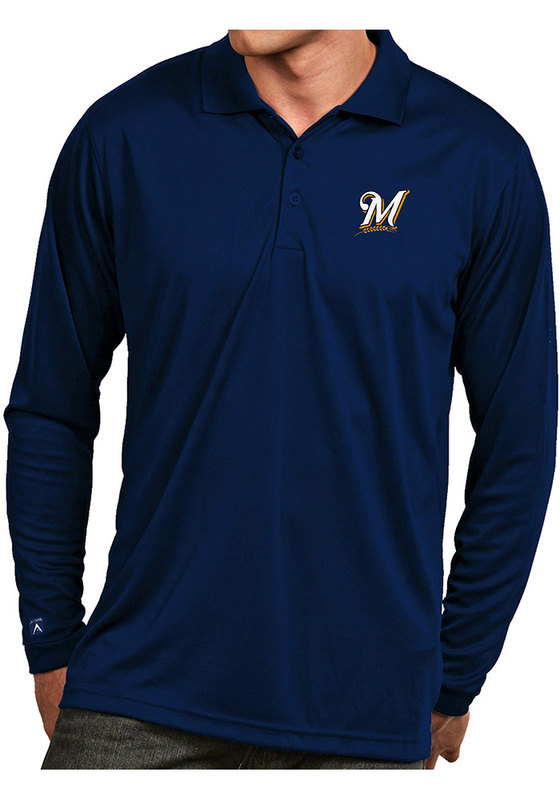 Wear your Brewers pride to work in this Milwaukee Brewers Antigua Navy Blue Exceed Long Sleeve Long Sleeve Polo! This Polo features a 100% polyester soft jersey micro flat pique Desert Dry™ Xtra-Lite D²XL moisture management solid long sleeve polo with 3-button placket, flat knit collar and open cuff. Antigua branding on right sleeve., making this Long Sleeve Polo Shirt perfect for any Milwaukee fan who wants to show their spirit in any setting.